Cali Pitchel McCullough is a Ph.D student in American history at Arizona State University. For earlier posts in this series click here. I had an incredibly emotional weekend, one marked by extreme highs and lows. It was one of those weekends that places deadlines and paper anxiety in proper perspective. I spent Thursday evening in a labor and delivery room with my best friend. We ate oatmeal chocolate chip cookies and told jokes to pass the time and the contractions. I left the hospital around 8:00 PM convinced by her progress that it would be another 24 hours before the baby arrived. 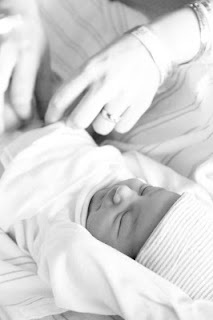 But alas, on Friday morning, at 5:38 AM, my best friend and her husband gave birth to a beautiful baby girl. I participated (distractedly) in an independent study course that morning, discussing Jon Teaford and his opinion of American municipal government, and then sped across town (without a speeding ticket, thankfully) to meet my new best friend. She is more beautiful than I could have imagined and I am honored that one day Liliana Maria will call me Tia Cali. Meanwhile, a dear friend’s sister was at the hospital for a rather routine brain surgery (that sounds a bit like an oxymoron). The surgery was successful and everyone, doctors included, was pleased with the outcome. My parents spent some time visiting, but I chose to stay home with two books to read and several discussion questions to write. Saturday, however, she took a turn for the worst. I got a text message around 2:00 AM (of which I slept through) and then a phone call from my mom at 8:00 AM. My mom and dad had rushed to the hospital in the middle of the night and had been there since 3:30 AM; my mom sounded exhausted and sad. Amanda had suffered some type of episode and lost all brain activity. The doctors are still at a complete loss as to what exactly happened. I spent a good part of the day in the Neuro ICU with my friend and his family as they mourned the loss of their sister, daughter, and mother. I could never have prepared for what I would see or feel, and I left emotionally drained. Less than 36 hours ago I celebrated new life, and today I sat in a room with a grieving family. I love (and sometimes loathe) the life of a graduate student. But so often I fold in on myself, concerned only with assignments and reviews and proposals. I tend toward the myopic, with myself at the center. This weekend was incredibly joyful and painful at the same time, and the experiences force me to pause and remember I have a responsibility to my friends and family that transcends my schoolwork. 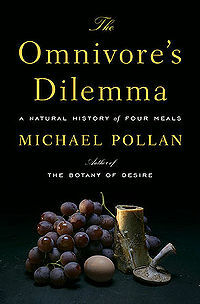 I first read Michael Pollen’s Omnivore’s Dilemma: A Natural History of Four Meals in 2007, just after I graduated from Messiah College. For those unfamiliar with Pollan’s New York Times bestseller, the part memoir/part history/part exposé charts Pollan’s quest to answer a simple question: What should we have for dinner? Pollan follows three contemporary food chains—industrial, organic or alternative, and what might be best described as Paleolithic, or a hunt and gather approach—in order to reflect on every day decisions about what and why we eat. The book, in addition to top ten book of the year awards from the New York Times and the Washington Post in 2006, won the California Book Award, the Northern California Book Award, the James Beard Award for best food writing, and was a finalist for the National Book Critics Circle Award. His awards aren’t for naught. In lively prose, Pollan deftly exposes the horrors of the industrial food system. He pays special attention to the treatment of cattle. Ruminants by nature, the cows are fed a diet of animal parts, corn products, and antibiotics and forced to idle in their own feces until fattened for slaughter. Graphic, yes. After my first go-round with Pollan I avoided meat for three years. His all too colorful portrait of industrially raised cattle, chickens, and pigs led me toward a diet high in tofu and legumes and low in animal protein, milk and cheese included. For years I considered myself a quasi-vegetarian. Only recently did I reintroduce meat and dairy back into my daily regime. I credit Pollan for making me a better-informed eater. Rather than purchase products of the industrial system, I choose grass fed and pastured animals from nearby farms. In other words, I prefer my animals in their most natural, God-created state eating biologically appropriate foods and grazing or pecking in a field. Pollan’s journalistic style, although it inspired in me a radical life change, has severe limitations. Only upon reading Omnivore’s Dilemma again, this time for a graduate readings course, did I recognize its weaknesses. Pollan ends his three- part journey through the food system with the most intimate of experiences—his own adventures of hunting wild boar and foraging fungi in the hills of northern California’s Marin County. He invites the reader into his kitchen while he prepares an elaborate meal: wild California pig (served two ways), bread baked with wild yeast from the San Francisco Bay, homemade egg fettuccine with hand-picked morels sautéed in butter, garden salad from Pollan’s own backyard lettuces, and a cherry galette with Bing cherries picked from a Berkeley neighborhood tree. Equal parts delicious and pretentious. His decision to close the narrative with his personal choice to eschew the modern food system ignores the implications for society at large and escorts the reader down an individual, if not exclusive, path. Who can afford the time, the money, or the expertise to hunt and forage? Pollan admittedly notes the unrealistic nature of such an endeavor, but he fails to acknowledge social organization and questions of access when crafting his “perfect” foodscape. 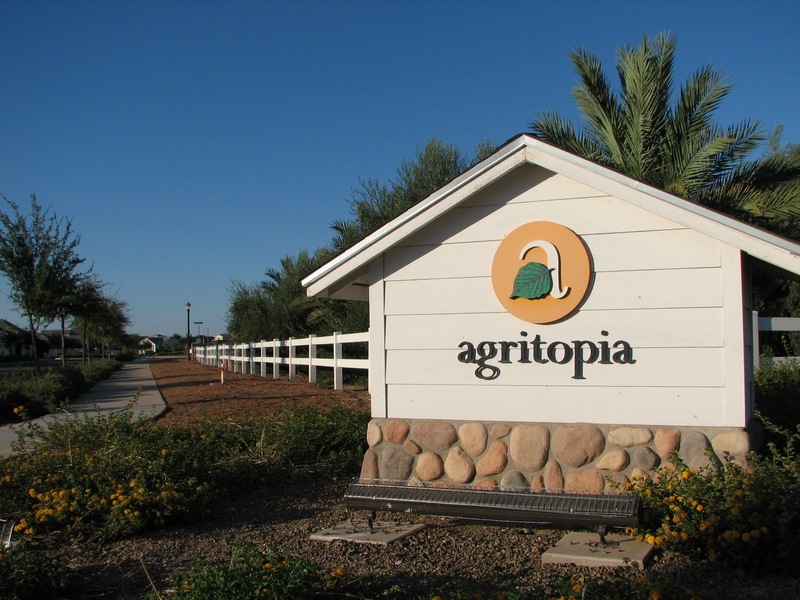 California, boasting the lush ecosystem necessary for the success of Pollan’s meal, also claims one of the highest food insecurity rates in the country (15.9% in 2009-2010). The national average is not much better; 14.6% of Americans live in food insecure households, and studies conducted by the U.S. Department of Agriculture find rates of food insecurity substantially higher among black and Hispanic households and those with incomes near or below the federal poverty level. While Pollan enjoys his perfect meal, hundreds of thousands of Americans struggle to put food on the table, often times forced to eat the very food Pollan so strongly condemns. The Omnivore’s Dilemma, or the choice of what to eat and why, is thus limited to those with a particular level of social and economic capital. Further, Pollan focuses almost entirely on a consumer oriented politics. Not until 162 pages in does Pollan mention farm workers, and he completely glosses over supermarket and warehouse workers. In so doing, Pollan circumvents a more important conversation about class and racial divisions in the American food system. Many credit Pollan with reinvigorating food studies (some even compare him to Upton Sinclair), but the absences in his narrative cannot be ignored. That some people can choose to protect themselves from the dangers of the American industrial food system and others cannot is the real problem. When food studies can reconcile the disparities in food access, the exploitation of farm workers, and the hazards of the industrial food system, then talk about the perfect meal can really begin. After what I consider an embarrassingly long hiatus, I return to my Graduate School Dispatches routine. Thanks to Dr. Fea and to my readers (Hi, Dad!) for your patience during my absence. I felt especially uninspired during the fall semester. I had what only a privileged graduate student could consider an unfair grading assignment that had my nose in bluebooks for a disproportionate amount of time. I needed the winter break desperately and feel reinvigorated for my final semester as a PhD student before I enter candidacy (fingers crossed) in the summer. I look toward my last semester of coursework with a bit of heartache. In some way, this is the beginning of the end. In less than six months I take my qualifying exams and move from student to candidate. Although a quick search through the past year and a half of Dispatches will return more than a few melancholy missives on graduate school life, I envy those students still sitting in the lecture hall or seminar. What I love most about the study of history is the dialogue, the collaboration, and the opportunity to learn from seasoned scholars. To borrow an analogy from Jane Jacobs: the classroom ballet. 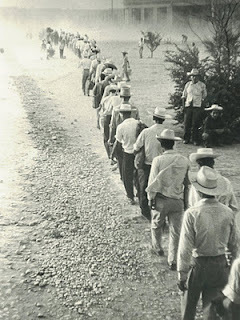 Academia is a lifelong pursuit of knowledge, but there is a marked difference between furiously taking notes from a foremost historian on the Bracero Program and standing before a classroom delivering a synthetic commentary on the United Farm Workers. I will always look fondly on my time facing the lectern. Despite the distress I felt (and will likely continue to feel) over my workload, I am more equipped than ever to take on my nine concluding credits. My course lineup agrees especially well with my interests. I’m taking two readings courses, one in urban history and the other in food production and consumption. The former prepares me for my secondary field in urban history, while the latter familiarizes me with a literature necessary for my dissertation prospectus due next fall. I am fortunate to work with two great faculty members, Philip Vandermeer and Matt Garcia, respectively. In my other course, North American Cultural Landscapes, we will read the likes of Tuan and Meining in order to better understand the systemic interaction of human beings with their environment. Susan Gray, whose work deals with the interplay of place, race and gender, teaches the course. I always enjoy my time in Southern California. Every six weeks I take a quick flight from Phoenix into Burbank to spend the weekend visiting a few of my favorite people. My uncle, a PR executive, lives in Sherman Oaks, and a close friend works for the Associated Press and lives one block off Hollywood Blvd. My geographical zone remains relatively small while visiting. I might enjoy the sunshine and cool air in my uncle’s backyard, or I stay with my friend in her tiny apartment, watching chick flicks and eating take-out. During the past weekend, I ventured out of my typical routine and drove north and west along the Pacific Coast Highway toward Malibu. Rather than celebrity-watch at a beachside café, I spent Saturday participating in the Western Regional Conference on Faith and History. 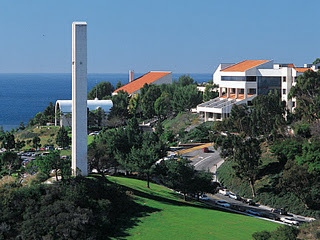 The Conference met on the campus of Pepperdine University, situated on a bluff overlooking the Pacific Ocean. I drove the meandering road from the 101 Freeway into the Malibu Valley before the sunshine and heat dispelled the morning fog, but after the second panel the haze lifted. The ocean views made conference-going a difficult option, but the intriguing panel line-up drew me inside. The conference theme, “The Historian and the Text,” seemed the perfect forum to discuss History to the People. I submitted my unorthodox proposal to Bryan Lamkin, the President of the Western Regional chapter of the CFH and Professor of History at Azusa Pacific University. My proposal looked more like a call to action than scholarly research, but it undoubtedly aligned with the theme of the conference. To break down the barriers between academic historians and people and to provide the general public with the skills necessary to think historically are two of the main tenants of HTTP. Ryan McIlhenny, from Providence Christian College, provided comments for Dr. Wentland and I. Dr. McIlhenny suggested we had several points in common, most importantly, our commitment to preserving democracy and diversity in the study of history. HTTP will attempt, through a more democratic use of the historian’s tools, to teach others to lay aside self-interest and see the world from the perspective of someone else. As John Fea suggests, “unlike any other discipline, history requires us to engage the human condition primarily through understanding and empathy, not criticism.” This quote gets to the second point in common between Dr. Wentland and I—the culture wars. If a person encounters the text with the necessary tools, it becomes less easy to condemn the actions of other people. Perhaps we can ease our culture wars by disclosing the ways in which we’ve honed our historical thinking and encouraging such behavior in more people in a more intentional way. The audience seemed enthusiastic about HTTP. Aside from some brief discussion on this blog, I have not had the chance to present the idea to an academic audience (other than my classmates). I received great questions at the end: How will we achieve nuance and complexity in short blog posts? How will we reorientate the way in which people think about history? How will we protect ourselves against bias? These are great questions, some of which I have already spent a good deal of time thinking through. 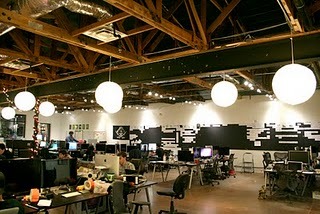 At HTTP we value specificity and we write and edit in a community. This keeps us morally engaged, accountable, and self-critical. A willingness to work collaboratively, in a community of scholars open to debate and dialogue and the testing of ideas keeps us honest—this goes for all good history. I had a great experience at the Western Regional CFH. It provided me the opportunity to not only present an idea, but it also gave me the opportunity to think about how my faith plays a role in my commitment to bring history to the people. In preparing for the conference I found a quote by Henri Nouwen, a twentieth century priest and writer. Nouwen, meditating on the gifts given to a body of believers, believed that “the basis of all ministry is the experience of God’s unlimited and unlimiting acceptance of us as beloved children, an acceptance so full, so total, and all-embracing, that it sets us free from our compulsion to be seen, praised, and admired and frees us for Christ, who leads us on the road of service. This experience of God’s acceptance frees us from our needy self and thus creates new space where we can pay selfless attention to others.” Because I have acquired certain skills, I have a responsibility to use these skills in service to others. The website provides a space for me to share these skills outside the classroom, and in hopes, foster a sense of historical thinking that might change the world one person at a time.